Good to have while drinking if you care about your furniture... If you don't, they're still a nice decoration :). Hand made in real leather. Size 9.5 x 9.5 cm. Price is for six coasters. 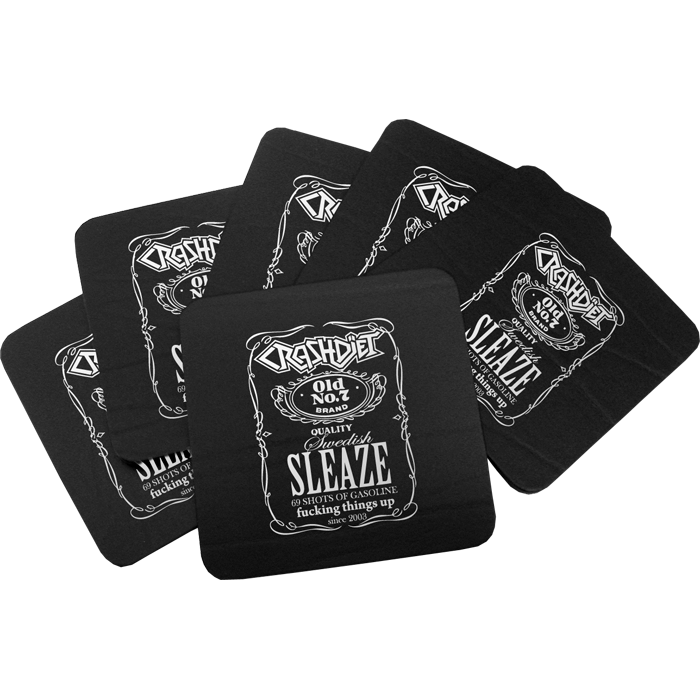 Best looking coasters ever, but there is small downside, i have used these coasters for months now and they started to show marks of corruption, i was expecting years of life for these, that is the only reason i give 4/5. I bought a pair of these some time ago and they're so cool and high quality, I had to buy another pair! I will definitely buy a third pair some time soon. Totally recommend it.